Several message networks, huge ANSI and textfile libraries, interBBS gaming, ANSI chickens. Online since 1992, and still dialup (56k!) 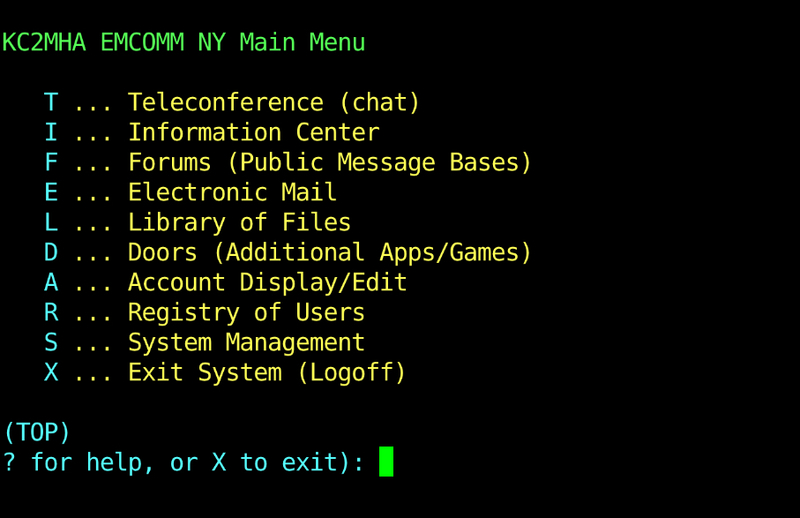 as well as telnet. EOTD BBS has been a big part of the 303 BBS scene for over 15 years. 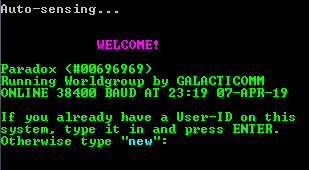 Worldgroup with Worldlink, forums, retro file libraries, and door games such as LORD and TW2002. The ERICADE Network is a Swedish BBS and mostly in Swedish language. It was first founded in 1993, but all texts and files are from its second incarnation in 1998. It’s trying to keep a local pub atmosphere with discussions (in Swedish). It also has a number of games such as Hack and Slash. Social and gaming BBS. Support site for W&W Communications Doors and EVP Doors.